Jimmy Dukes is a young talented producer from Buffalo NY, who started producing at the age of 18. His production equipment began with fl studio, and grew to an mpc 1000, then to ableton live and reason (which now is his current arsenal). His mission is to provide upcoming artist and companies with quality production at an affordable price. He strives to create a platform for producers and artists alike that will allow them to stand out, but at the same time be able to fit and compete within their specific genre. Music JimmyDukes 71 03:47 121x Faved Buy! Love Song JimmyDukes 85 04:00 52x Faved Buy! 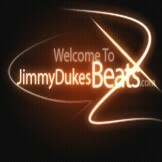 All We Have JimmyDukes 73 05:00 30x Faved Buy! Only Right JimmyDukes 83 04:00 24x Faved Buy! Supernatural JimmyDukes 77 04:00 28x Faved Buy!